Christian leader arrested for protests of killings. JOS, Nigeria (Morning Star News) – An Assemblies of God Nigeria pastor, his wife and son were among at least 218 people killed in Muslim Fulani herdsmen attacks on predominantly Christian areas near Jos on June 23-25, a denominational leader said. Two days after the general superintendent of the AG-Nigeria denomination, the Rev. Chidi Okoroafor, reported the deaths of the Rev. Musa Choji and family members in the Barkin Ladi area near Jos, the federal government on Thursday (June 28) ordered the arrest of a pastor who organized protests of the killings, Christian leaders said. The Rev. Isa Nenman, a pastor in Jos, was arrested on Thursday after the protests reportedly resulted in property destruction when he led demonstrators to the Government House, the residence of the governor of Plateau state, on Wednesday (June 27). Nenman is northern zone chairman of the Christian Association of Nigeria (CAN), Plateau state chapter. “Following yesterday’s peaceful protest by CAN supported by youth groups, the CAN chairman, Northern Zone, is in police custody, and there is a directive from Abuja to make arrests,” Paul Dekete, one of the facilitators of the protest march, said in a press statement. 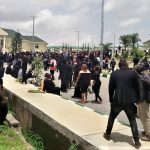 The protest saw thousands of Christians dressed in black marching to the Governor’s House to demonstrate against incessant attacks on Christians in the state by armed Fulani herdsmen. Prior to the protests, Christians in Plateau state had observed two days of fasting and prayer on Wednesday and Thursday (June 27-28). The protestors carried a placard calling for the government to “Declare Fulani herdsmen as terrorist,” and another one that read, “Ransack Fulani settlements.” The protests started peacefully, but after the governor declined to receive them, protestors reportedly tried to storm the premises, threw stones at cars and offices and chased government officials. The AG-Nigeria’s Okoroafor said the herdsmen in the June 24 attacks burned down the worship auditorium where Pastor Choji served. CAN national leaders last week reported that 218 Christians died in the June 23-25 attacks. CAN President Samson Ayokunle said in a press statement that the Christians were killed in 44 villages across the local government areas of Barkin Ladi, Riyom, Bokkos, and Jos South, all in Plateau state. 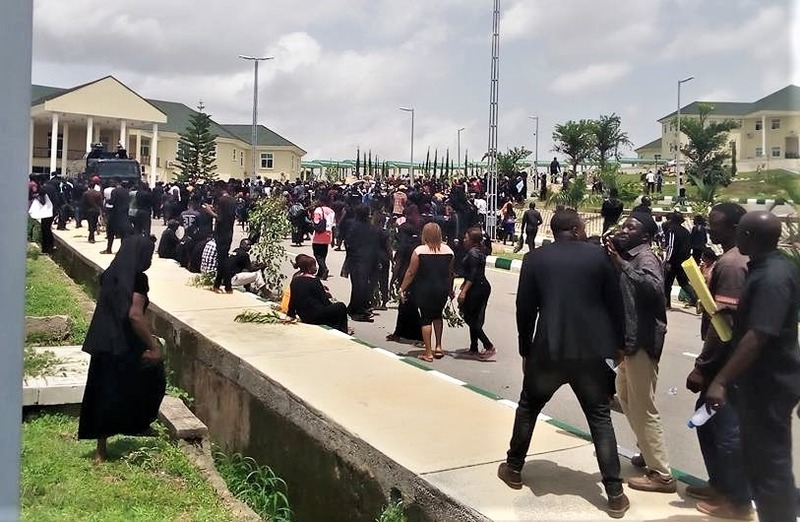 Ayokunle, also president of the Nigerian Baptist Convention (NBC), said CAN obtained reliable information on the number of dead from June 23 to June 25 from local government areas around Jos. The Nigerian government should ensure that Christians are protected from further attacks, he said. “CAN calls on all security agencies to wake up to their constitutional responsibilities of protecting lives and property,” Ayokunle said. He urged them to be proactive, saying mobilizing troops and policemen after the havoc has been done does not make sense, and that a government that cannot protect its citizens is a failed government. This failure to prosecute is emboldening the herdsmen to kill the innocent with impunity, he said. And GOD shall wipe away all tears from their eyes and there shall be no more death,neither sorrow,nor crying,neither shall there be any more pain for the former things are passed away. (Revelation 21:4). JESUS CHRIST said unto her:I AM THE RESURRECTION AND THE LIFE,he that believeth in me,though he were dead,yet shall he live:(John 11:25).